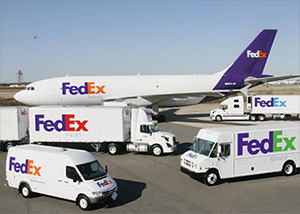 FedEx is a US based, international delivery company that has been in operation since 1971. The company’s reputation is well-known throughout the world and they are credited with pioneering one of the earliest parcel tracking systems. Get the latest updates on FedEx shipments that allow the quick and easy tracing of parcels with the Track a Parcel service. Simply enter a tracking number and receive up to date details of where any parcel is located and how long it will take to reach its final destination. Whether waiting for a delivery or following a dispatch, Track a Parcel allows the simple management of shipments from a central location. Discover the simplest way to follow any shipment, no matter its destination, with Track a Parcel. Track a Parcel is the go-to portal for delivery tracking, bringing together the most popular delivery companies in one place. This allows for greater convenience whilst also saving time, allowing both sender and recipient to follow the progress of multiple shipments using a variety of carriers. Whether through FedEx, or any of the other major shipping companies, Track a Parcel provides a simple interface from which to monitor shipping progress – simply enter the respective tracking number and detailed shipping information and the location and latest activity of a parcel will be displayed. FedEx now offers a variety of shipping services for parcels of any shape or size, ensuring anyone can take advantage of its trusted name and transparent pricing system to ship packages across the globe. Additionally, when tracking a FedEx shipment with Track a Parcel, easy to understand updates ensure that it is always simple to identify the location of a parcel and its estimated delivery date. Trust Track a Parcel and FedEx to provide a quick and simple way get the latest update on any delivery. I have received an email saying that my package is at the local office but when I try to track the parcel and find out where the local office is it just says ‘in transit’. Could you tell me, When we will receive the package? Hi. I have been waiting for my parcel for over a month now from when It should have been delivered but still no sign. I’m not happy and would like to no where my parcel is!! Hi been checking your web stite to find out wgen my parcel was going to be delivered all day on the hour all I’ve had is in transit. I paid extra for my parcel to be delivered yesterday. Apparently they attempted delivery when i had my partner home from a night shift, an aunt babysitting and 2dogs at home!! If anyone attempted delivery you would know about it! They also never left a card. Crap service i say. An i will have to wait in for the attempted delivery today. We shall see what happens. But i will in future not be using you if i can help it.